Stout [defined]: (Of an act, quality, or person) bold, brave, or determined. Example: "He put up a stout defense in court." In the State of Florida, drug laws very strict because these crimes constitute a large majority of criminal activity in the state. The result is harsher penalties based on the quantity of drugs and their intended use. Law enforcement is aggressive when it comes to drug offenses and you don’t have to be a big substance trafficker to face a sentence that could severely impact your life. If you have been charged with a drug offense in Florida, having a criminal lawyer can help protect your rights and your freedom. At Stout Defense, P.A., we can provide you with a criminal defense attorney Gainesville, FL, residents can trust, who provides a wide range of criminal defense services. Distribution refers to the intent to sell illegal substances or the actual act itself. It is closely related to manufacturing so the two may often be charged at the same time. You can also get charged with distribution if you made a gift out of the drugs, shared them with friends, or were in close proximity to items used for their sale. Distribution penalties can range depending on severity but can be prosecuted as a third degree felony with up to five years imprisonment or a second degree felony with up to fifteen years imprisonment. Manufacturing drugs is the use of chemical processes or a laboratory in order to create or produce a controlled substance, such as cocaine, LSD and meth. When charged with manufacturing, you are being accused of an unlicensed, unauthorised, and intentional creation of illegal substances. Manufacturing could be prosecuted as a second degree felony with up to fifteen years in prison and a $10,000 fine. Drug possession is a crime under both federal and state laws. To be charged, you must be in actual or constructive possession of narcotics or controlled substances without a valid prescription. Penalties range greatly depending on the substance and amount in possession but could be charged with a first degree misdemeanor up to a first degree felony with up to 30 years in prison and $250,000 in fines. Trafficking refers to the illegal sale or distribution of controlled substances, including transportation and importing. 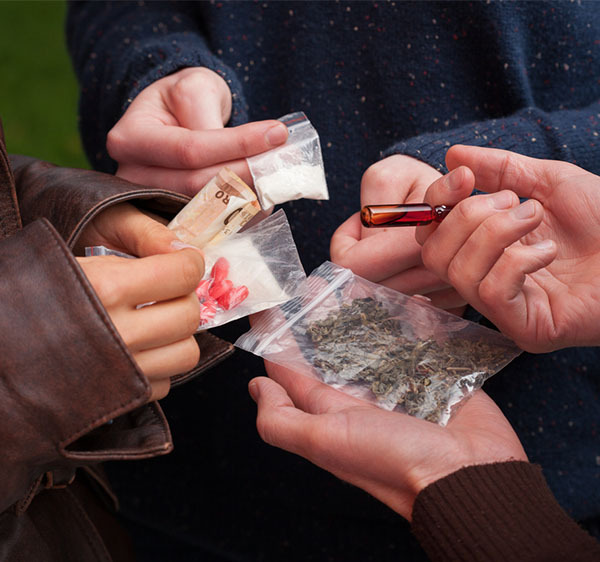 The consequences for trafficking vary depending on the type and amount of illegal substances, the location, and the defendant's criminal history. A conviction could lead anywhere from three years in prison to life. Possessing prescription drugs without a valid prescription is an offense under both state and federal law. In addition, forging or altering a prescription could lead to being charged with fraud. Prescription drug possession is prosecuted just as aggressively as possession of any other controlled substance and could lead to penalties just as serious. An experienced narcotics defense attorney can advise you what to do after your arrest and help to minimize the consequences of the kind of charges on your life. Being prosecuted for a drug offense is not something to take lightly, whether you are a minor, university student or adult you could be facing serious penalties for involvement with illegal substances in any way. Contact Stout Defense, P.A., today for a Gainesville criminal defense attorney you can rely on.